When we let go of our battles and open our heart to things as they are, then we come to rest in the present moment. This is the beginning and the end of spiritual practice. Only in this moment can we discover that which is timeless. Only here can we find the love that we seek. Love in the past is simply memory, and love in the future is fantasy. Only in the reality of the present can we love, can we awaken, can we find peace and understanding and connection with ourselves and the world. 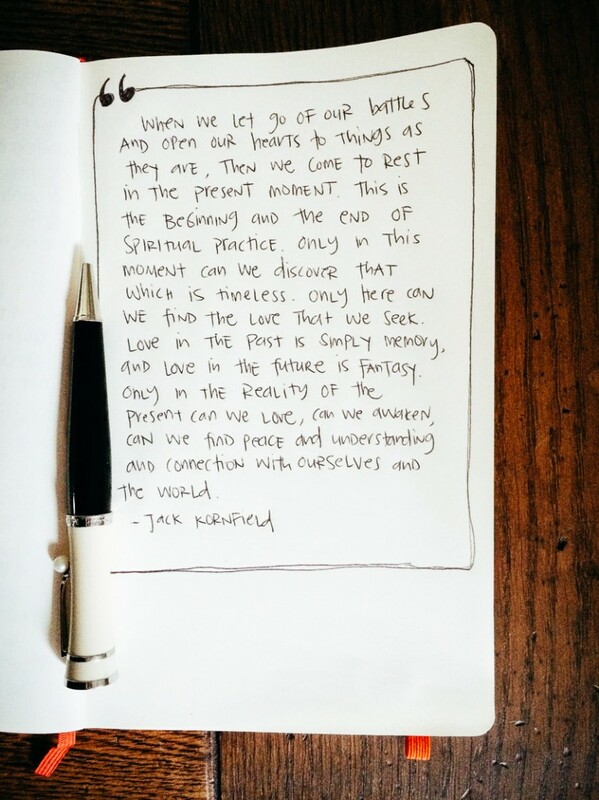 This entry was posted in collaboration and tagged august break, i love words. Bookmark the permalink.